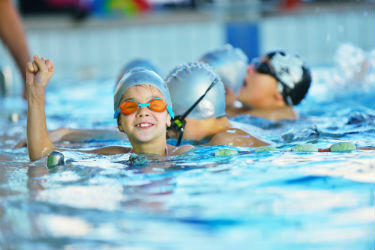 Are you looking to book swimming lessons for your kids? Perhaps you're an adult wanting to book lessons for yourself? 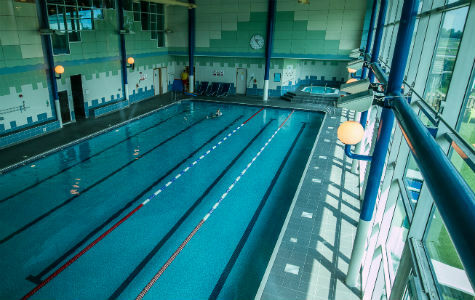 If so our Nuffield Health Fitness & Wellbeing Gym in Newbury is the perfect environment in which to improve your water skills. 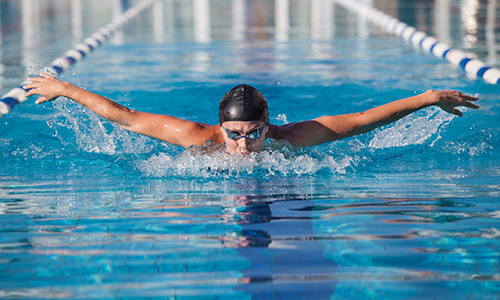 Our Swim England-qualified instructors have vast experience teaching pupils of all ages and abilities to swim in a safe and enjoyable setting. We believe in small class sizes so that everyone receives an excellent standard of 'hands-on' teaching. We offer group lessons from parent and baby to ducklings 1-5 and up to Stage 8 following the Swim England curriculum. These lessons provide the ideal setting in which to learn to swim, with the pupil receiving the full attention of our instructor, shortening the learning curve still further. Whether you're an adult looking to improve on your technique or a toddler who has never been in the water before you could really benefit from 1-2-1 tuition! Our heated indoor swimming pool is 20m in length. Member 2-2-1 single = £23 (this is a member only benefit, no block bookings). We believe it's never too young to introduce your baby to water. Taking your child into a swimming pool can really prepare them to be confident swimmers in later life. Swimming is a vital life skill for us all to learn, and can even save lives. Our popular Parent & Toddler classes are payable termly and we do take pre-bookings. Non-members: £9.50 per 30-minute lesson. Children from 12 weeks old in a group environment. Ducklings stages 1 to 5 are also available here for children over 18 months. The aim of these classes is for the child to explore and enjoy yourselves whilst learning to swim. Each grade of the Duckling Awards contains 6 key components, all of which must be passed before the award is acquired. Stage 1 starts with simply wetting the pupils head, and goes right up to stage 5 where the pupil will jump into the pool (be fully submerged) and also swim 5 metres unaided. On teaching stages 1 - 3, we have a maximum of 6 children in the group, with a level 2 and a level 1 Assistant Teacher in the water to help with their confidence and therefore progress more swiftly. On teaching stages 4 -8 we will accommodate a maximum of 8 in a group. Upon booking into a group, all children receive their Narwhal passport book and swimming cap. Download our swimming lesson timetable. 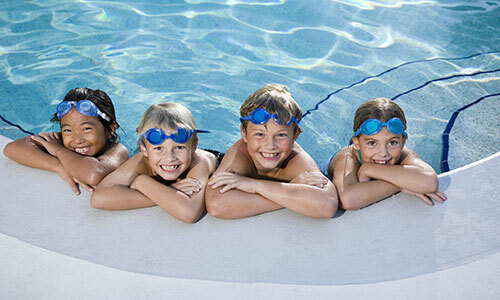 What do our group swimming lessons cost? For further information or to book a lesson, please contact us. We look forward to welcoming you to our swim school in Newbury.